COLLEGE STATION – What do an international gathering of some 10,000 people, a small fuzzy animal thought to be extinct for a century and Texas A&M University have in common? A lot, said a Texas A&M professor involved with all three. The animal is the Santa Marta Toro. The gathering is the International Union for the Conservation of Nature World Conservation Congress, which runs from Sept. 1-10 in Hawaii. As for Texas A&M — it plays an integral role with both, according to Dr. Thomas Lacher, professor of wildlife and fisheries sciences. Lacher and Nicolette Roach, applied biodiversity sciences doctoral student in the wildlife and fisheries department at Texas A&M, both at College Station, will be among the thousands of participants from more than 150 countries expected to attend the conservation congress. They will be assisting in the presentation of the results of the reassessment of extinction for all the world’s mammals, and will present on the results for nearly 3,000 small mammals, including the Toro. The IUCN is best known for its Red List of Threatened Species. Lacher said the main purpose of the list is to catalogue and highlight plants and animals facing global extinction. Lacher added that Texas A&M is the only U.S. university that is a partner with the IUCN and that the university is renewing a new five-year memorandum of agreement with the organization. But where does the small fuzzy animal fit into all this? Lacher explains. Roach was one such student. She completed her undergraduate studies in wildlife and fisheries conservation biology at University of California-Davis and her master’s in wildlife and fisheries biology at Clemson University. Coming to Texas A&M for her doctoral program led her to Colombia. Roach said Colombia’s Sierra Nevada de Santa Marta is the world’s tallest coastal mountain range and a global biodiversity hotspot. The region, once plagued by political instability, now boasts a growing ecotourism industry and expansive coffee farms. “Many species that live in this mountain range are rare and elusive, including a number of critically endangered frogs, small cats and a plethora of invertebrates,” she said. Lacher said the discovery was made by two birdwatching assistants who had no idea what it was and took some pictures. Roach said the Toro has become a symbol of hope for conservation across the world, igniting the belief that conservationists will be able to enact effective policies and save a species initially thought to be gone forever. Actually seeing the critter, even though its existence is confirmed, is extremely difficult as it’s nocturnal, solitary, arboreal and probably very shy, Roach said. But if nobody seemed to miss it for 100 years, what value is it? “Small mammals fill lots of ecological roles but particularly as seed dispersers and ecosystem regenerators,” she said. “They are vital for healthy functioning forests. If we lost these animals we would see very negative impacts on the health of our forests. 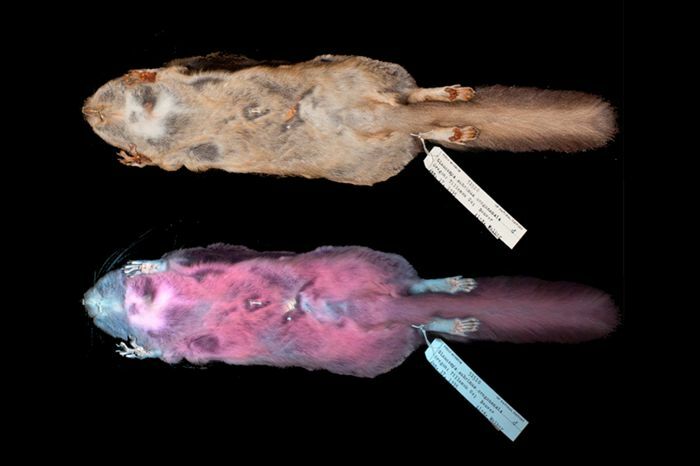 The rare, fuzzy rodent, the Santa Marta Toro, was re-discovered in 2011 after 113 years, and has been missing ever since. Mongabay interviews Nicolette Roach, a PhD student, who has been combing through the El Dorado Reserve in Colombia in search of the Toro. Nicolette (Nikki) Roach, a PhD Student at Texas A&M University, is on a mission to find the elusive Santa Marta Toro again. The tiny rodent was last spotted in 2011, for the first time in 113 years. Roach says that finding and gathering data on the Toro would be a huge symbol of hope for conservation. In May 2011, two volunteer researchers had an unexpected visitor at the El Dorado Nature Reserve Ecotourism lodge in northwestern Colombia.A rare, tiny rodent called the Santa Marta Toro or the Santa Marta Tree Rat (Santamartyamys rufodorsalis) appeared at the porch of the lodge, posed for photographs for nearly two hours, and then shuffled back into the forest. The Toro had been spotted again, for the first time in 113 years. Only two other specimens of the Toro exist, collected by scientists in 1898. The re-discovery of that one Toro individual in 2011 got conservationists excited. Scientists even laid out bait stations and camera traps to find more individuals, but their search yielded no result. The Toro was missing again. Consequently, scientists consider the Toro to be one of the world’s rarest species, and know very little about its life in the forest. The species is currently listed as Critically Endangered in the IUCN Red List. But one researcher, Nicolette (Nikki) Roach, a PhD Student at Texas A&M University and an associate conservation scientist at Global Wildlife Conservation, is on a mission to find these elusive creatures again. She is currently combing through the 1,976 acres El Dorado reserve and surrounding areas in the Sierra Nevada de Santa Marta (SNSM) mountain range in search of the Toro. Mongabay interviewed Nicolette Roach about her surveys in the El Dorado reserve. Nikki Roach is combing through El Dorado reserve and surrounding areas in the Sierra Nevada de Santa Marta (SNSM) mountain range for the Toro. Photo credit: Nikki Roach. Mongabay: What got you interested in the Santa Marta Toro? Nicolette Roach: I am interested in the Toro because of my research interests in threatened species conservation and its fascinating story. Species are disappearing at rapid rates and the reappearance of a species is a symbol of hope and testament to the amount of work remaining to be done. The Toro was rediscovered at the El Dorado Reserve in Sierra Nevada de Santa Marta (SNSM), Colombia in 2011. Since then the species has not been documented. The Toro is a rare and highly elusive creature. The Toro, is one of the rarest mammals in the world, and the SNSM region itself contains extremely high levels of species endemism and biodiversity, it is a fascinating place to work. Mongabay: Could you tell us about some of the methods that you’re using to find the Toro? Nicolette Roach: Currently we are using camera traps in hopes of documenting the elusive species. We also conducted a series of night surveys for four weeks, surveying patches of forest from 9:00 PM – 02:00 AM recording mammalian biodiversity every 25 meters. Mongabay: Have you found signs of the Toro, or spotted an individual yet? Nicolette Roach: We have not found direct signs of the Toro; so little is known about the species that we are uncertain of the types of signs the Toro may leave. But we have had indirect signs from communicating with the local people. We have shown photographs of the Toro to local Colombians; some of the local campesinos (coffee farmers) have told us they have seen the Toro, but three to five years ago. These are positive signs that is still occurs in the region but there is no solid evidence as to what part of the forest and which habitats the species uses. This is a species that may take some patience to find again; I mean it went over 100 years without being documented! Santa Marta Toro (Santamartamys rufodorsalis) was re-discovered in El Dorado Nature Reserve after over a century, but has gone missing ever since. Photo credit: Lizzie Noble. Mongabay: What would re-discovering the Toro mean for the species in general, and for you personally? Nicolette Roach: I think finding and gathering data on the Toro would be a huge symbol of hope for conservation. Knowing that species we deemed extinct, may not actually be lost forever greatly impacts my optimism for species specific conservation initiatives. The Toro is a symbol for conservation in the Sierra, a region that was not too long ago immersed in political conflict. It represents that all is not lost, we still have time to salvage the wild parts of our world, and that species — even the small ones — are holding on amidst all the environmental change occurring. Mongabay: What have been some of your most memorable moments from your surveys? Nicolette Roach: Night surveys are interesting in and of themselves. The landscape transforms and places that were easy to walk to in the day become vastly difficult. New animals emerge from the depth of the forest and certain senses, like your hearing, are heightened. One of our most exciting mammalian encounters was with a Margay (Leopardus wiedii), a small spotted cat, not much larger than a house cat. While conducting one of our nocturnal surveys, we found a margay sitting in a tree and we were able to watch it for 20 minutes. It is one of the most beautiful animals I have seen. Prior to our sighting it had never been officially recorded on the El Dorado reserve. We also got a picture on a camera trap a few weeks later (both camera trap pictures and real pictures are of terrible quality). Margay’s are very elusive creatures and difficult to see, so I feel really fortunate to have had that experience. One of my favorite animals are the frogs. The choir of their croaking keeps us company during our night surveys. I am in constant awe of the frogs, the Atelopus species (A. laettisimus and A. nahumae) with their pointed noses, strong limbs, and slow moving grace, have quickly become a favorite of mine. We also have daily (or nightly) encounters with gorgeous moth’s, insects, spiders — including a recently described tarantula species (Kankuamo marquezi), and fossorial snakes. Roach’s team has been using night surveys (L) and camera traps (R) to look for the Toro. Photo credit: Nikki Roach. Mongabay: Why do you think the Santa Marta Toro remains so elusive? Nicolette Roach: The Echimyidae family (spiny rats) is one of the most poorly understood small mammal families. They are notoriously difficult to study due to their elusive nature and life history strategies — some are completely arboreal, nocturnal, and solitary. Those who have seen the Toro have seen it only once and in rare situations (like clearing the forest for coffee farming). I believe the Toro is likely both rare and shy making it all the more difficult to find and study. Mongabay: How are you funding your surveys? Nicolette Roach: My surveys this summer were funding by Global Wildlife Conservation, Rainforest Trust, and field accommodations were provided by ProAves Colombia. We have obtained some more funding, from the Chicago Zoological Society Chicago Board of Trade (CBOT) Endangered Species Fund, to return to the region next summer to increase our search effort for the Toro. We will be applying for more grants this year dedicated to conservation initiatives, for amphibians and small mammals, in the SNSM. Nicolette Roach: The SNSM is the tallest coastal mountain range in the world, rising from 0 to above 5000 meters in under 50 kilometers, is older than the Andes, and contains all ecoregions described in Colombia. This mountain range is a stronghold for biodiversity and endemism and is an incredibly important region for conservation. The SNSM is a UNESCO Biosphere Reserve and in 2013, a study published in the journal Science designated the SNSM National Park as the world’s most irreplaceable site for threatened species. While this region maintains an incredible amount of biodiversity, it is also home to a number of people including indigenous groups and campesinos. Thus, it is really important to consider the landscape as a whole (people and wildlife included) throughout the conservation planning process. The people living here are directly impacted by changes in the ecosystem, and they are the ones most affected economically, ecologically, and socially. They also have the immense knowledge about the landscape and its species. I believe it is extremely important to have a holistic approach to conservation, especially for species like the Toro, where local ecological knowledge could be the key to finding this rare species again. It is of utmost importance to document and conserve our world’s biodiversity. Habitat continues to be degraded, species are being lost at alarming rates, and climate change poses serious threats to humans and wildlife alike. Gathering a better understanding of these threats will help combat their impacts. Through active community engagement, scientific research, and conservation planning we can hopefully help save species, like the Toro, from a perilous future. Prior to Roach’s sighting, a margay (Leopardus wiedii) had never been officially recorded at the El Dorado reserve. Photo credit: Nikki Roach. The team also spotted Atelopus laetissimus, a species of toad known only from in and around the Sierra Nevada de Santa Marta. Photo credit: Nikki Roach.